My local yoga studio offers Alexander Technique classes, and knowing barely anything about it–something to do with body awareness and posture–I decided to go ahead and check it out. My second class was on Tuesday, and since I’d skipped a week, we were back practicing walking again. Now on the surface it may seem kind of silly to spend an hour and fifteen minutes working hard at thinking about your legs, then concentrating very hard on walking around the room. But let me tell you, it is hard work! The hardest part is when the instructor says, Tell your body to do something, and listen to the response. This kind of body awareness has always been tough for me. Back when I was deeply heavy metal toxic and didn’t have a clue about it yet, I took a karate class. I had to quit after a few weeks because it was so painfully intense. It wasn’t the kicking and punching part — that was totally fine. It was the gentle warm-up that sometimes literally made me cry. Our instructor was very into having us cultivate body awareness, so that we wouldn’t injure ourselves while practicing karate. So she warmed us up saying things like, Rotate your arms at the shoulders, and listen to your body, don’t push past where it doesn’t want to go. During those warm-ups all my body said was, No no no no no. My body was a jumble of discomfort, numbness and pain, and conscious stretching just highlighted how awful it all was. I had become good at ignoring the jumble of my body on a day to day basis. I had to. If I’d been aware of it, every movement would have evoked some kind of pain or discomfort. Of course now I know that this was caused by lead toxicity. The lead was making my muscles clench, holding my body in a perpetual state of unnatural tension. So it’s kind of amazing to me that I’ve come so far in my healing journey that I actually enjoy exercises that build body awareness. My body in its natural state feels relaxed and good. At class on Tuesday, my instructor asked how walking had been for me since the last time, and I confessed that I had walked like a pony for a little while, lifting my feet gracefully and gently placing them on the ground. But soon I’d forgotten, and honestly had spent 99.9% of the two weeks walking like a Lego man, clomping along stiffly, not even aware of what was happening in the stumpy blocks below my knees. And so we looked at pictures of the skeletal structure of the foot, and while she talked about how trauma, tension or pain makes us withdraw awareness from our extremities, I noticed something that I’d never seen before. My foot has a heel that stretches back behind my ankle, anchoring and balancing the weight coming down my leg. The instructor explained how we were going to walk while presenting a more accurate map of our feet and legs to our brains. 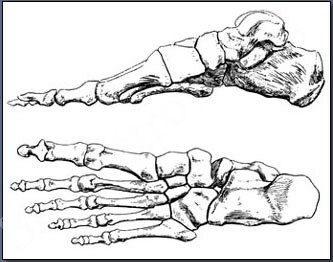 So I walked, picturing the weight of my body coming down over the arch of my foot (like it did in the anatomical picture) and not the heel (like it did in my Lego man picture). And that was when I began to have heels. It made me walk like a drunken sailor at first, but by the end of the class, I felt like someone had installed a new pair of really fancy feet at the end of my legs. They were like monkey feet, or maybe the feet of some kind of very agile alien creature. They moved a LOT more than Lego feet, and came with a pair of heels sticking out the back for extra balance. Awesome! I’m not sure what will happen next. Like I said, it was just my second class. Stay tuned for more updates. But the whole thing made me think about a very important concept. Getting the heavy metals out is the first stage of recovery. Don’t get me wrong, it’s huge, it’s the most important stage. But then there’s more. There’s the retraining, and the learning, and the figuring out what it means to live in a body that’s no longer poisoned. That second stage can take time. Who knows how long? And you never know when you’re going to discover something pretty amazing. Something really fun like the fact that you have heels. I just wanted to say I think this piece was great. I once tried to do something similar with physical therapy. I had always been told I walked kind of funny and that caused all sort of misalignments in my lower limbs and if I consciously walked in a certain way it would be better for me. I found that when I practiced in therapy I was eventually able to do it, but the kind of self awareness you speak about where you consciously tell your body to move in a certain way was always really difficult for me, and frankly usually I’d get lazy and forget. I don’t think my lack of body awareness is from mercury toxicity, but who knows, but you’ve raised a lot of issues that have made me think so thanks. I love this piece, Aine! It’s such a reminder. And I love what a place of humility and humor and honesty you’re coming from with it. Thanks! Imagine what you would be like if you practiced 3 times a day for 3 years, and had 1-2 lessions per week for 3 years. 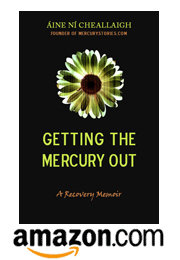 That’s what i did before i knew i had a mercury problem. You become totally body-aware. You get to know every inch, every muscle ….. and every ache and pain, LOL. It is an amazing technique to learn, but i can tell you from first hand experience that it does not detox mercury! It will of course do many other cool things than will give you a better life. Ha, I figured you might have something to say about this one, Sunshine!